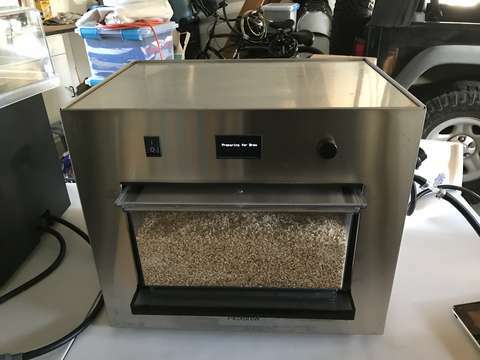 I've spent the last couple of months furiously brewing PicoPaks on my new Pico C brewing appliance, because of a time-limited unlimited subscription to PicoPaks. It's been a ton of fun, and I've brewed a large variety of brews, some far outside of my comfort zone as a brewer. While it has been a ton of fun, from a brewer's perspective, it's not nearly as satisfying as brewing my own recipes with my own ingredients. I got myself a Zymatic brewing device as an early Christmas present, but had not had a chance to actually use it until recently. 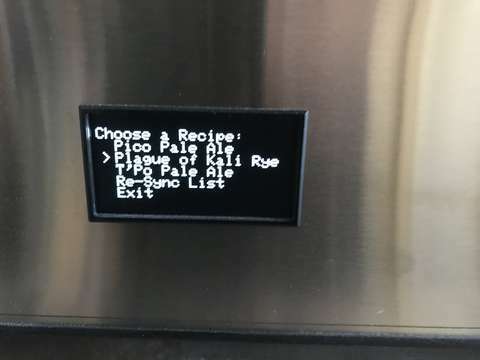 A couple weeks ago, I brewed the recipe that came with the device, but once again, that was someone else's recipe and ingredients. But it got me familiar with the device. It brews 2.5-gallon batches, allows for very precise mashing, automated wort production, and makes clean-up much easier. I'm actually digging the device, and how it smooths the brewday. 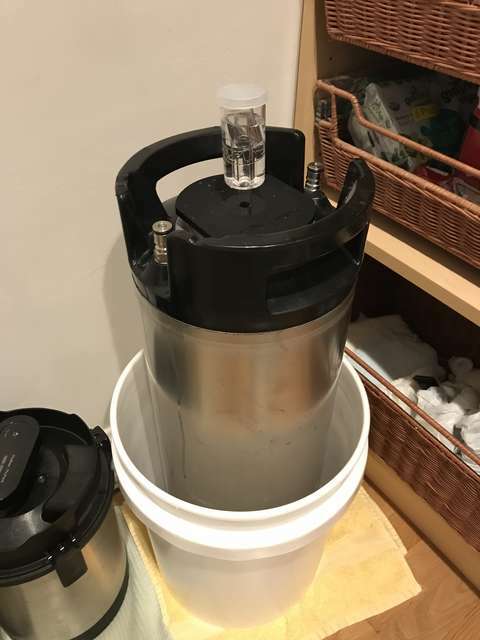 Today I brewed my first batch using my own recipe and ingredients. I used BeerSmith to scale down my Plague of Kale Rye IPA, and adjusted it for the differences in brewing equipment and efficiency. I chose a 90-minute single-infusion mash at 152°, with a ramp-down to 120° over 10 minutes before the boil. I also modified the recipe a bit, swapping Rakau for Simcoe, since I'm not a huge fan of the taste of Simcoe, and I do like New Zealand hops. I added another pound of 2-row to make up for efficiency differences, and I also added a bit of Gambrinus Honey malt that I had lying around, to sweeten it a bit. With the Zymatic, there really is no such thing as flame-out hops, so I also modified the recipe to add the flame-out hops at the 3-minute mark instead. When I purchased the ingredients at More Beer in Los Altos, they didn't have the yeast I wanted to try (Wyeast 1272 - American Ale II), and all of the Wyeast 1056 they had were swollen smack packs (which usually means compromised), so I got the equivalent White Labs (WLP001) instead, and also got a pack of Wyeast 1450 (Denny's Favourite). I was tempted to use the 1450, since it has a fruitier profile which I thought would work well with the RyePA, but I'm not keen on the low flocculation, so I went with the White Labs instead. The brew session went smoothly, and I used the ice bath chill-down method, which took a bit less than an hour to arrive at 73°. 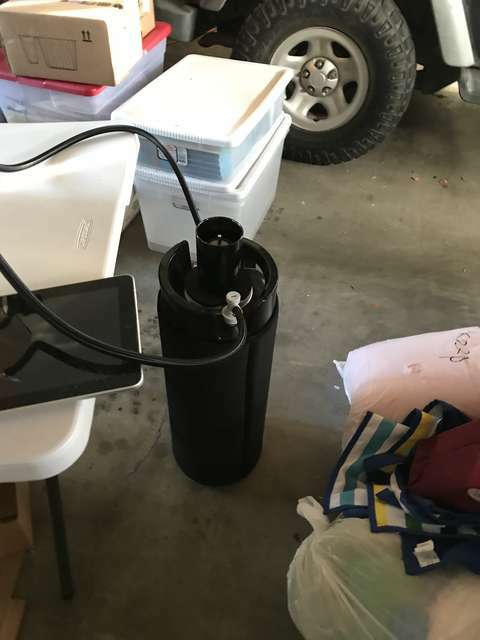 I pitched the WLP001, plopped my green Tilt Hydrometer in it, slapped an airlock with vodka on it, and put the keg in a bucket in the laundry room for primary fermentation. Cleanup was reasonably smooth, and much easier than a normal full brew day, using a dishwasher for the step filter and hop cages. I took the spent grains to the chicken lady on the eastside of Santa Cruz. Woo-hoo, my first real brew in quite a while, with my own recipe!